Nike’s newest VaporMax rendition has started to surface in a few new color options. Next up, is an upcoming Pink colorway. This Nike Air VaporMax features a Pink translucent TPE-infused upper in light and dark tones with Silver contrasting accents. A new lacing system atop a clear full-length VaporMax sole unit completes the design. Look for this Nike Air VaporMax 2019 Pink colorway to release on February 5th at select retailers and Nike.com. The retail price tag is set at $190 USD. 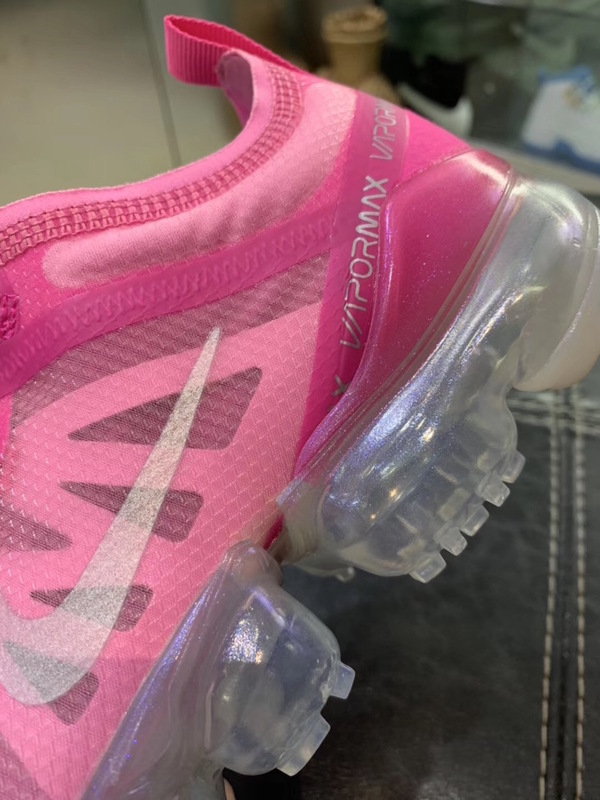 UPDATE: Nike releases official photos of the upcoming women’s VaporMax 2019 in Pink that drops on February 5th.